She’s going to look beautiful in this Beige and Pink outfit by famous French design house Chloé located in Paris. 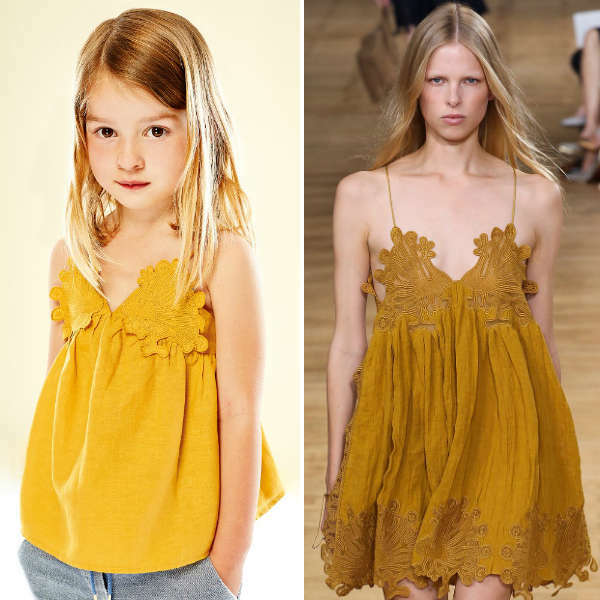 A favorite with celebrity moms, Chloé often designs mini me outfits for girls with the same brand DNA as the elegant women’s collection. Love this beautiful, camel beige padded jacket by Chloé full of the designer’s signature, elegant style. The coat is lightweight and collarless with the designer’s gold zip on the front and pale pink shade on the reverse. Complete the Chloé Beige and Pink look with these smart jeans made from cotton twill with an ivory stripe down the length of each leg. Complete the outfit with a girls mini me camel beige, lightweight sweatshirt by Chloé made from jersey. With a pure mini me style taken from the ladieswear collection, she’ll love the classic fit and all over metallic gold embellishments on the front.